Edward James Jewellery was established in 1988 by Jewellery Design graduates James and Jayne Brown. 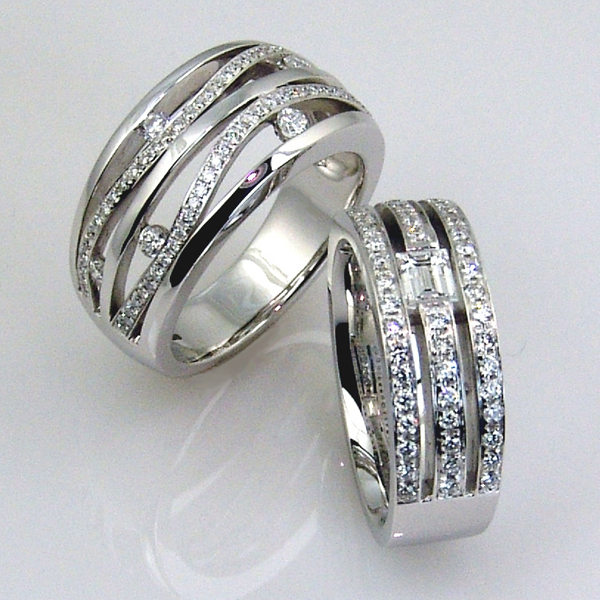 James is also an extremely skilled craftsmen, qualified Gemmologist and Diamond Grader. Together with their team of specialists, the company concentrate on providing customers with ever changing ranges of exciting and unusual design led collections of Diamond and Gem-set jewellery, set in Platinum, Palladium, 18ct carat yellow and white gold, and silver. Our unique one off pieces showcase our design ethics and those same exacting standards of craftsmanship, quality and function also extends to every commission we undertake and sought in every piece we supply. Always looking to innovate and push the boundaries of design possibilities as well as providing our customers with the very best we embrace the latest technologies showcased briefly in our Bespoke Design pages. ​We are a very approachable company and our team of highly qualified experienced staff are always available to offer friendly factual advice, either by phone, e-mail or in-store, to help you realise the perfect piece for you.